All of us feel anxious from time to time, but for one in six people in the UK chronic depression can become unbearable and severely disrupt everyday life. 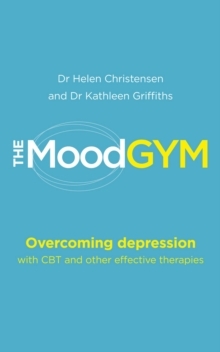 The Mood Gym is an interactive programme designed for those who would like to manage existing negative emotions and prevent mental health problems in the future. Drawing on the latest research and based on two proven techniques - Cognitive Behaviour Therapy and Interpersonal Therapy - this unique guide will:- assess your mood and anxiety levels through interactive quizzes- help you to change unhelpful patterns of thought and behaviour- offer proven coping strategies to help you deal with depression and let you enjoy your life once more- outline complementary therapies, such as relaxation and meditation, to assist you in your recoveryThe Mood Gym is a unique guide that will help you feel better.